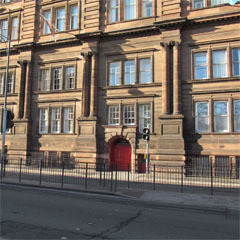 The Scottish Naval and Military Academy, founded 1825, trained young gentlemen for the British and East India Company’s forces, and, from 1829, shared with the Riding School a new building on Lothian Road opposite Castle Terrace (now the Caledonian Hotel). From high poetic texts James Ballantyne taught ‘Persian, Hindoostanee and Arabic’, 1832-45 before becoming Superintendent of Benares College. At its peak over 100 students learned things like ‘the chief cities of Hindoostan’ or, like Patrick Lindesay earned an Indian sword for ‘gentlemanly conduct’ and a medal for military drawing. The school was demolished for railway use in the early 1860s. 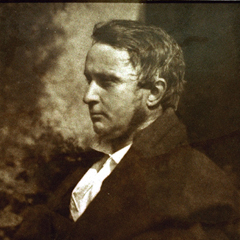 Portrait of James Ballantyne, circa 1845, by Hill and Adamson. 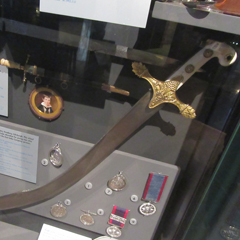 Patrick Lindesay’s Indian style sword of honour, awarded for ‘Gentlemanly Conduct’, 1833. 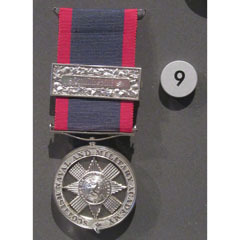 Robert Pope’s Medal for French and Hindustani.